We hosted a decorating party at A Village Gift Shop in Glendale a couple weeks ago for our upcoming Bras with Flair on the Square event (coming up on Oct. 2!!) and while I was there I found what might possibly be the BEST smelling candles ever! 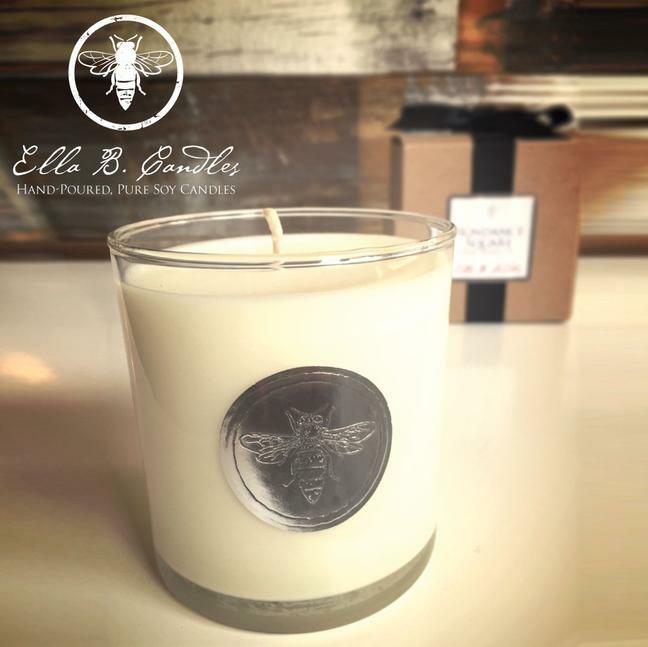 They’re called Ella B Candles. They’re hand-poured in Charlotte, NC and pure soy (so you don’t have to worry about the chemicals or not burning clean). Company is 4 years old, owned by a husband and wife team. The ladies at the shop told me that they have a great holiday line every year, and they even do customized candles. A Village Gift Shop stocks Wyoming, Glendale, OTR, Cincinnati, West Chester and Mason neighborhood candles — what an awesome gift idea! Makes a wonderful gift for someone new to the area or moving from the area, or a hostess gift, or holiday gift. And they smell UH-MAZE-ING! Definitely check them out! Previous PostWine & Shine Oct. 15Next PostMiss Em’s Holiday Open House Event Nov. 1!